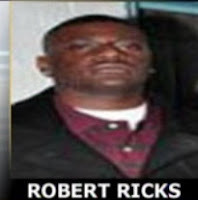 The Alexandria Police department electrocuted 23-year old Robert Ricks last year. The police tased him twice and he died after the second shot of 50,000 volts of electricity. Ricks was unarmed. In fact, at the time of the second taser shot he was in police custody. The coroner later claimed that the cause of death was 'excited delirium'. "I just want to ask them what, what happened? What happened?" said a frustrated Lawrence Ricks, father of Robert Ricks. TASER International says while its their policy not to comment on pending litigation, the want to remind people that the cause of death was "excited delirium," not the taser gun. Commonsense tells me that the young man wasn't going to die that day if he hadn't been electrocuted TWICE by the police officers. Commonsense tells me that an unarmed many didn't need to die if the police handled the situation better ... without relying on an instrument of death to keep the young man quiet.